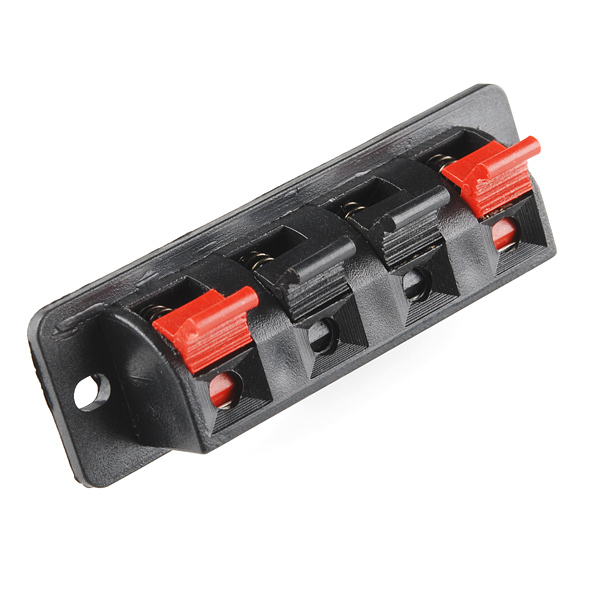 You may recognize these as the connectors that are commonly used for home stereo speakers. They happen to make good spring terminals for most applications! 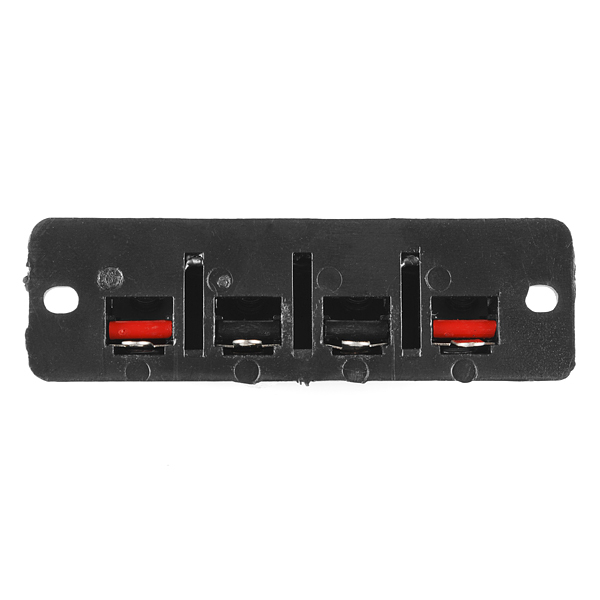 There are 4 separate terminals in all with two mounting holes for panel mounting. 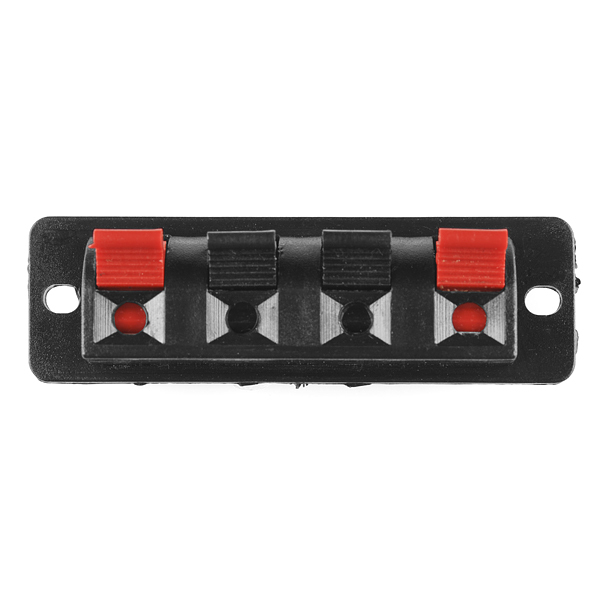 Can anyone offer what gauge wires work well with this product? I'm particularly interested in knowing if 18-24 gauge will hold securely. Thanks! 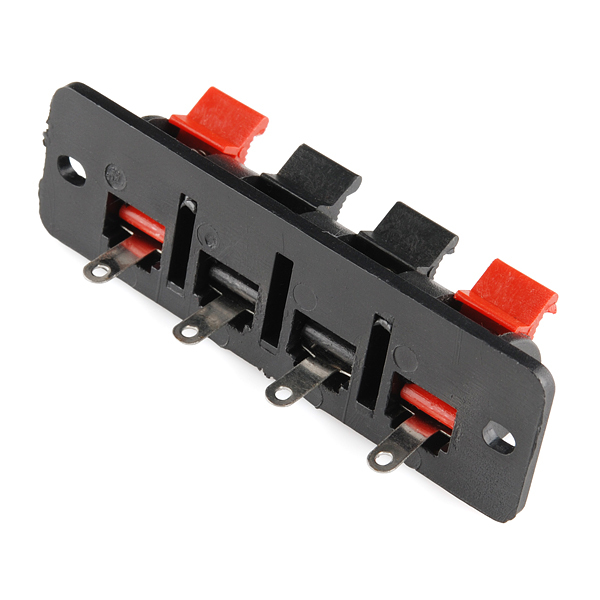 Part size is approximately w2-5/8" x h13/16", 1/4" solder lug length, 1" overall depth. Solder lugs are on 1/2" centers. 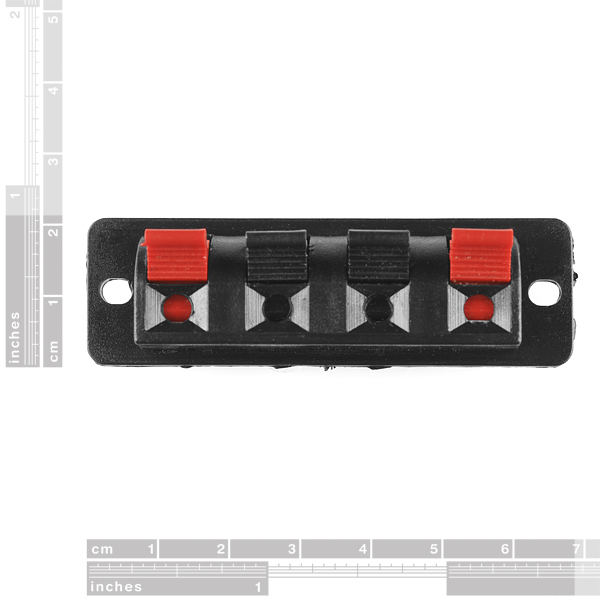 There is a product image with a dimension ruler for further details. This part suffers from a QC issue on the tab hinges where the tab plastic is not even. This causes the tab to open slightly sideways. I ordered 66 of these anticipating some QC issues. One of the other commenters mentioned a missing spring, but my parts all had 4 springs. The casing on some parts needed a small razor trim. Needing 64, of the 66 I received, 5 had 1 tab with this QC issue. I managed to salvage the parts by cannibalizing from the spares, but beware the issue when ordering. It is possible to trim the extra round protrusion to get even hinging. The parts function well enough for the price, looks good. Similar items else where can cost over $2. When I received this terminal in the mail, one of the spring connectors was missing. Is there anyway that I can get another one?